Improving web performance has never been so easy. 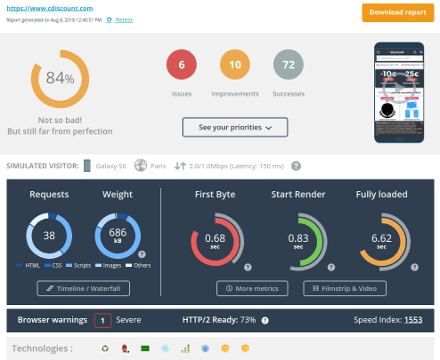 One single tool to test, analyze and monitor speed and user experience of web pages. Test the speed of your web pages at a glance. Find on the same report all major indicators of technical performance and user experience (Speed Index, Start Render ...). Analyze easily your results with video replay and an interactive waterfall. Easily optimize your web pages thanks to the best practices checked by the tool. 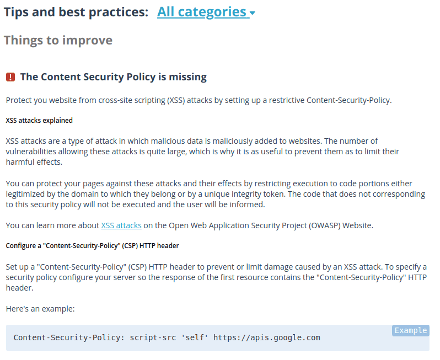 From SEO to Security through Performance, Dareboost is checking more than 130 quality controls in one click. Increase your team efficiency thanks to our detailed guidelines ordered by priority of action. Without any installation, adopting Dareboost only takes a couple of minutes. Web Quality and Performance management have never been so easy. Compare the performance of your web pages and those of your competitors. Detect strengths and weaknesses of each at a glance. 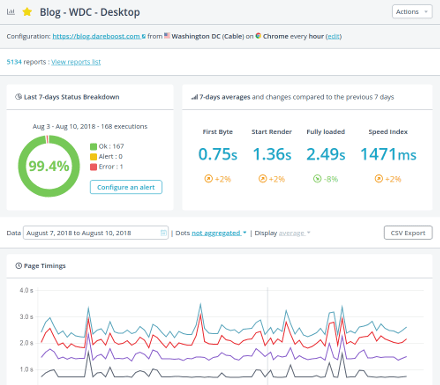 Highlight your optimization results with before/after comparison reports. Dareboost is also a powerful benchmarking tool to make sure your optimization efforts will be part of a pragmatic process looking for ROI. A manager-friendly service that will also be the best ally of technical experts! And to go even further: all our features are also available through an API. Monitor your pages speed and specify your own thresholds to detect any regression or slowdown. Easily identify underlying issues through our detailed alert reports. Analyze your performance data and those of the competition through interactive charts on customizable dashboards. Use your data everywhere thanks to our API, or simply export them in one click as CSV files. The best of our synthetic monitoring features applied to your most strategic user journeys. Define your own scenarios and activate monitoring, add functional checkpoints and performance goals. So detect any slowdown or dysfunction before risking a loss of income! Benefit from a neat interface to update in real time your scenarios according to your needs.